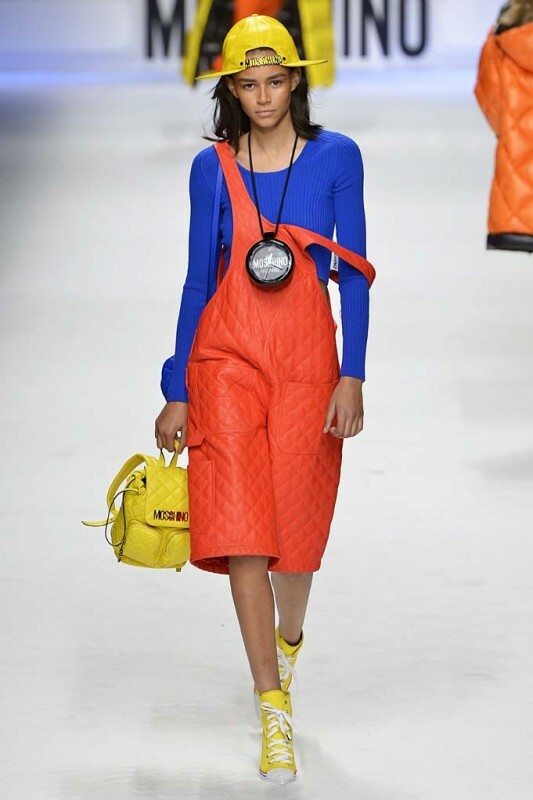 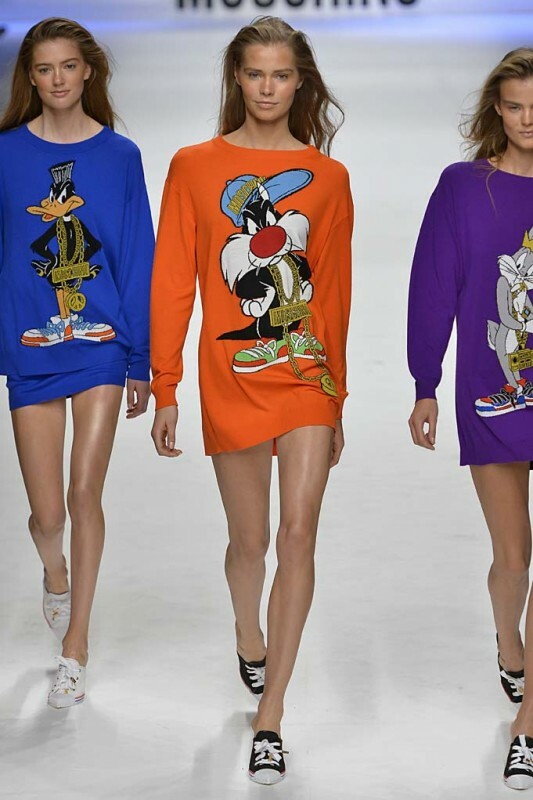 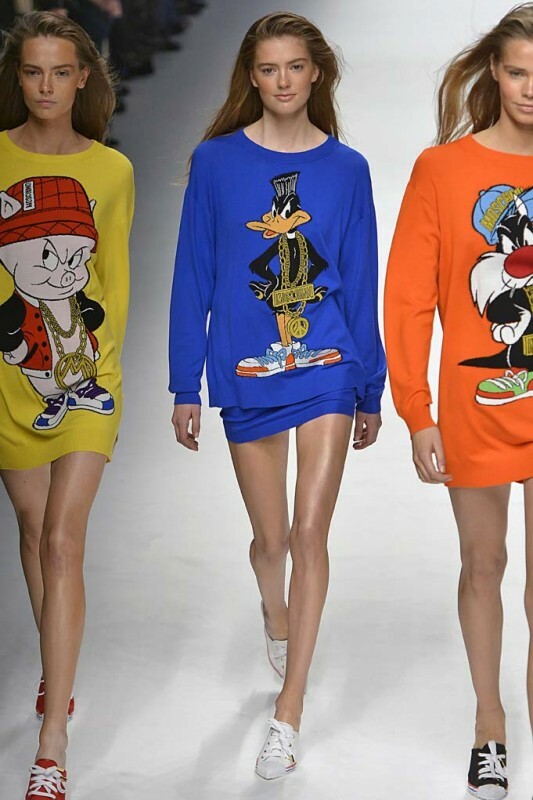 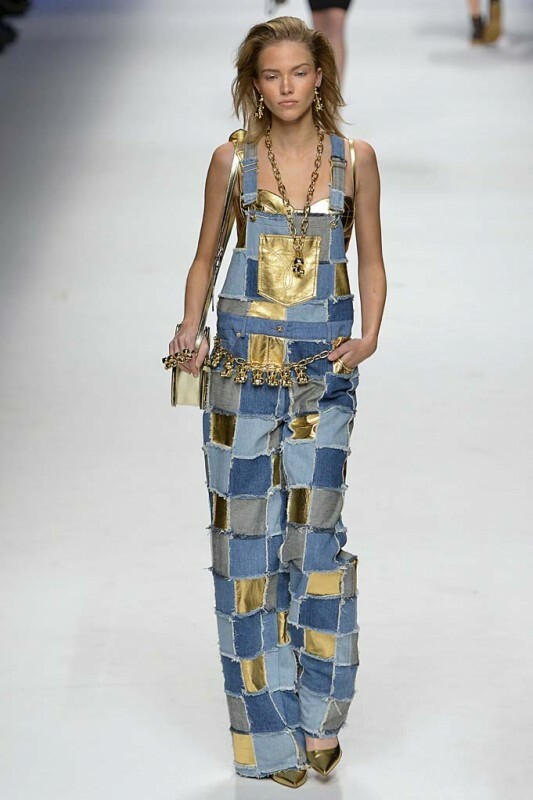 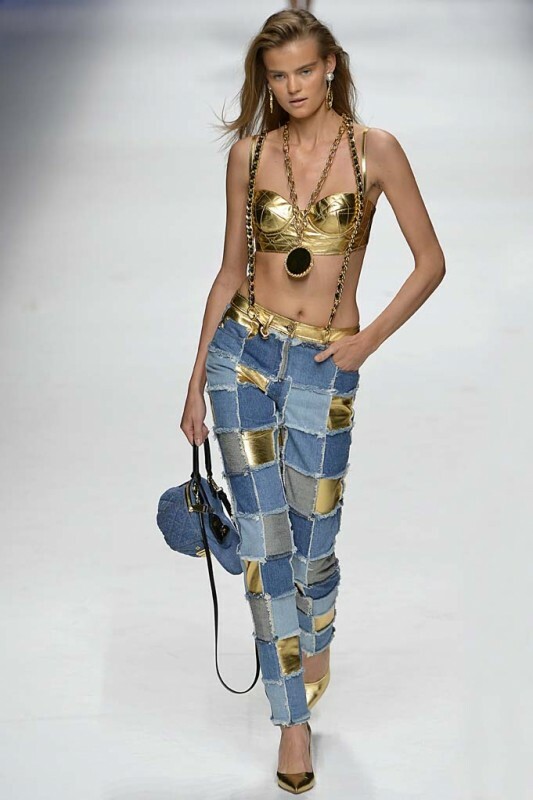 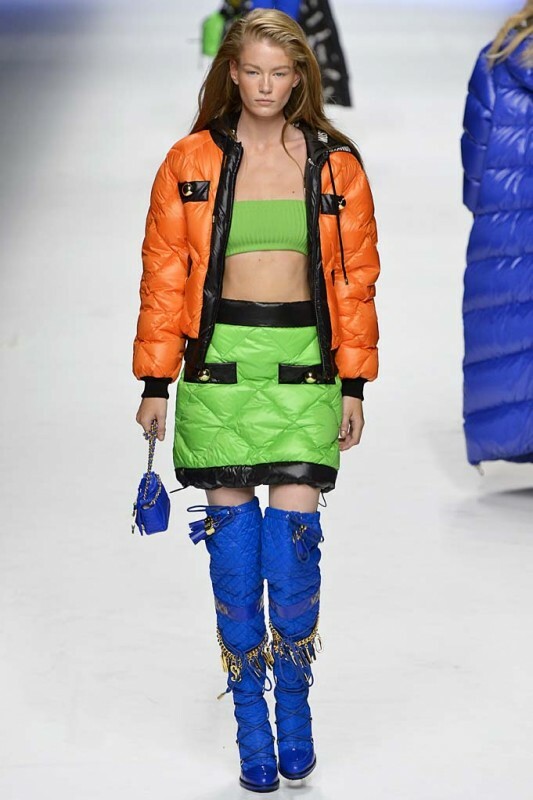 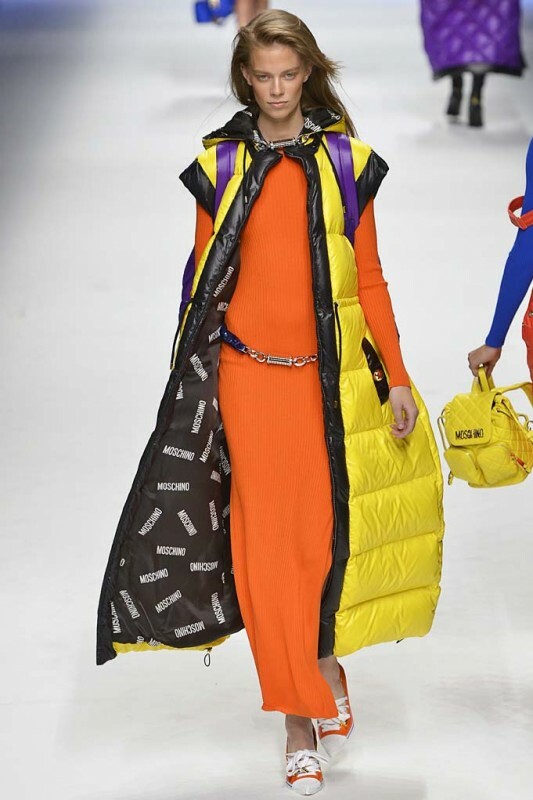 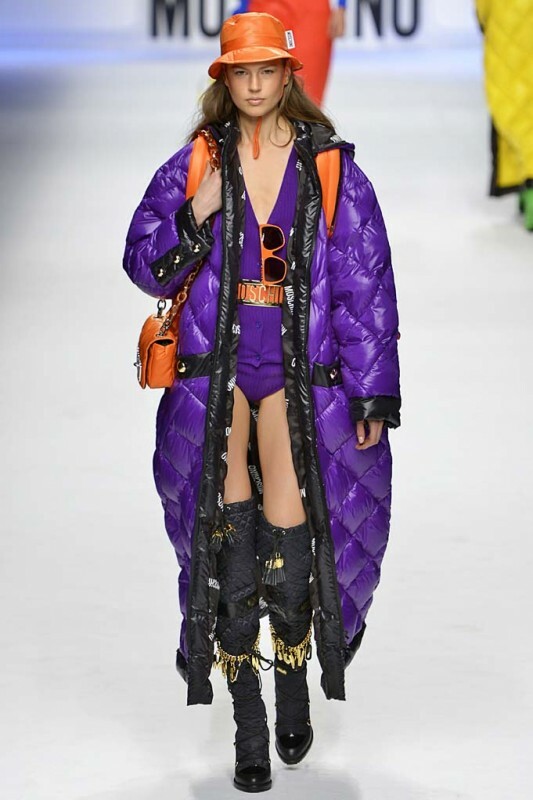 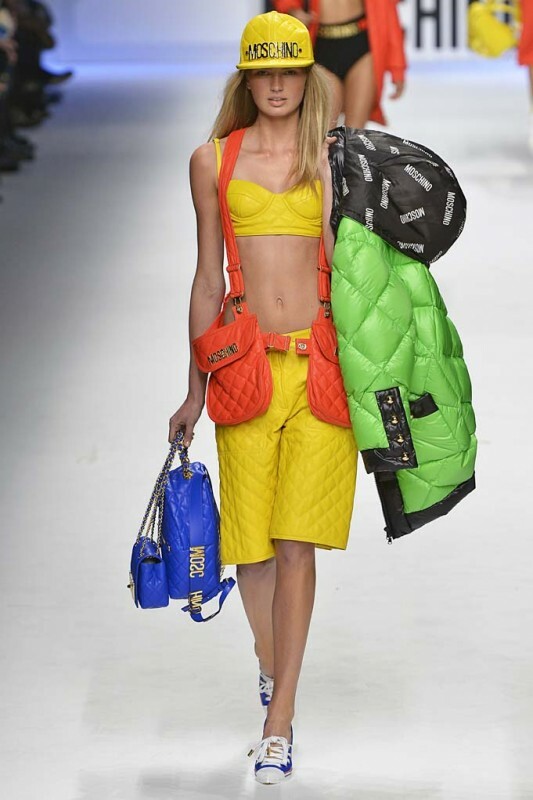 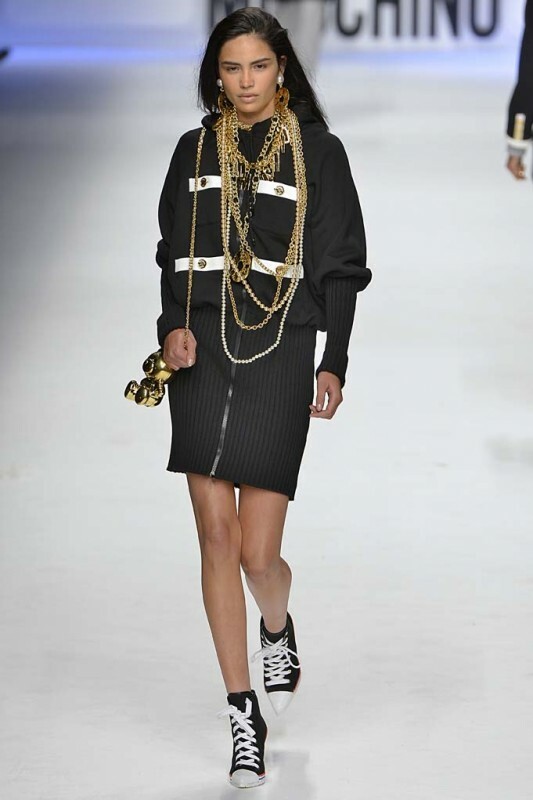 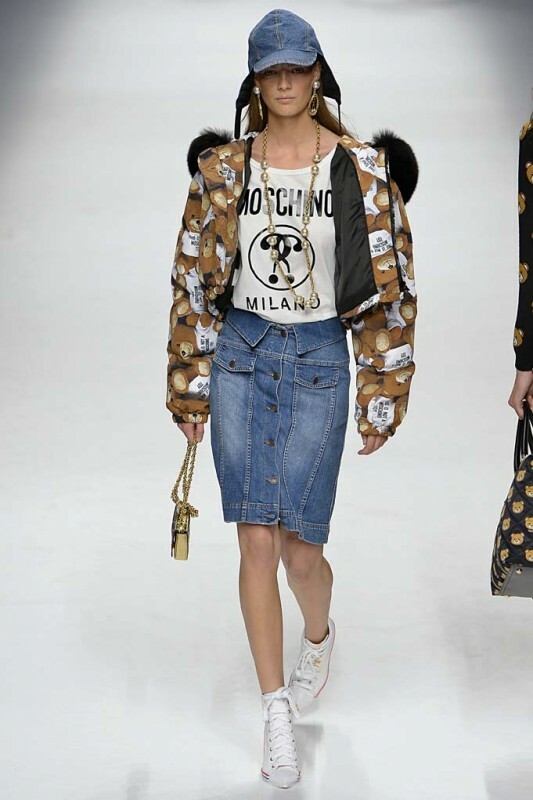 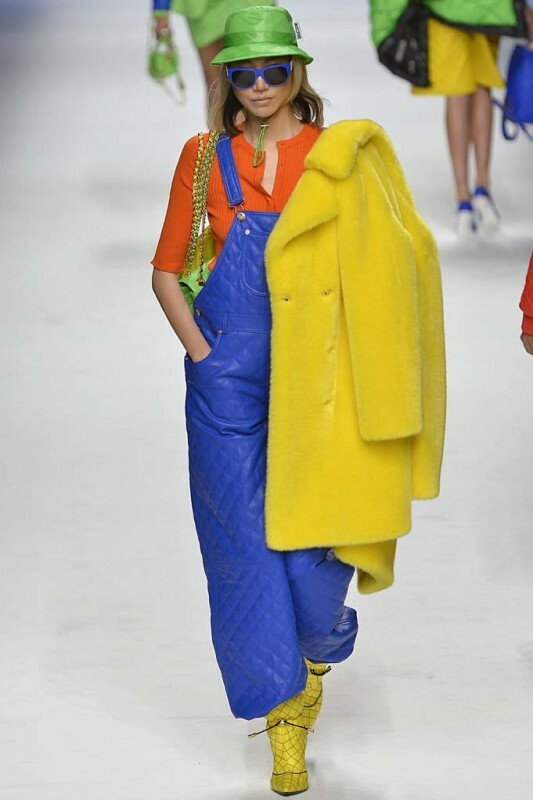 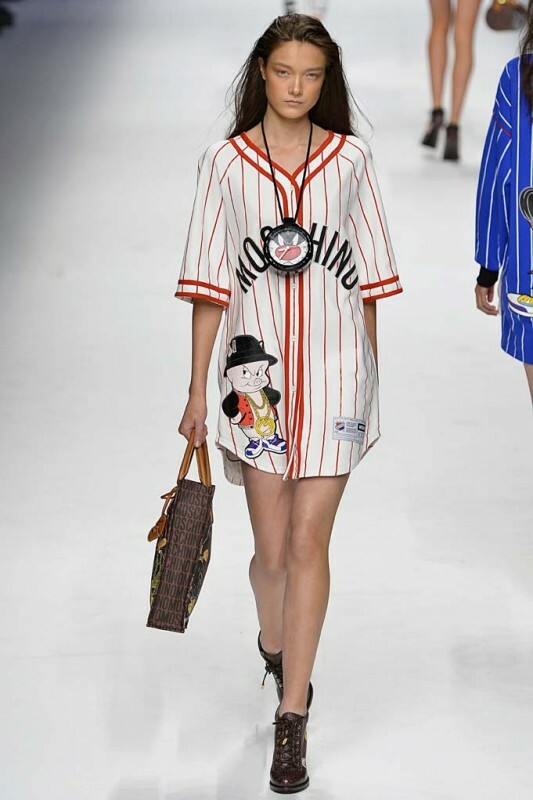 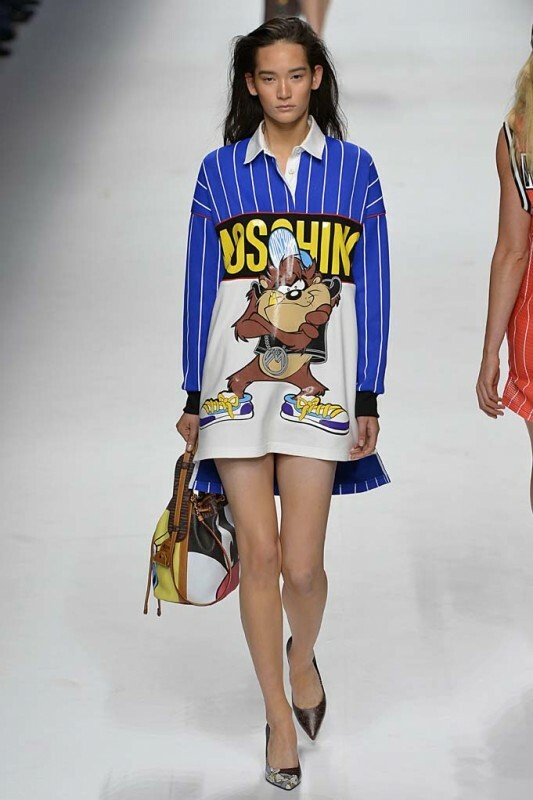 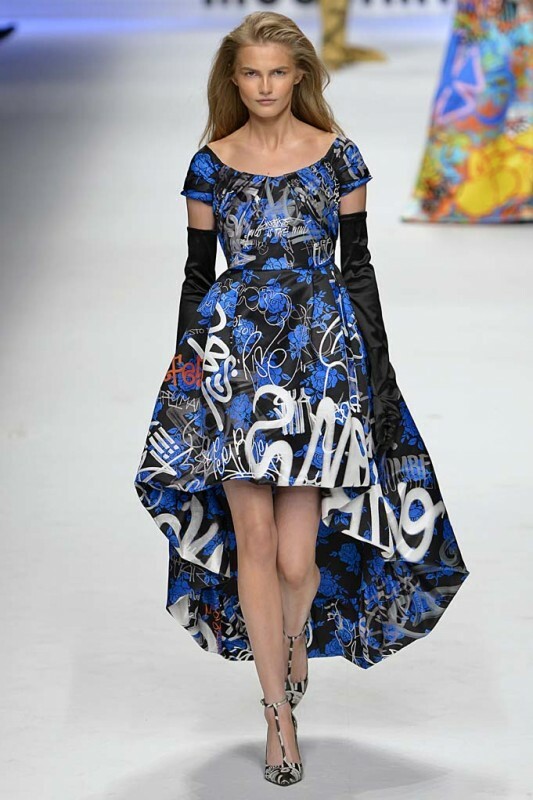 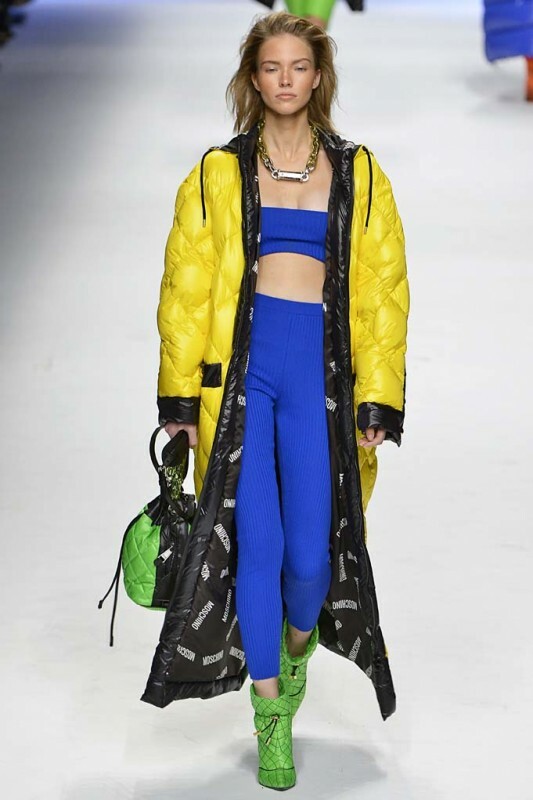 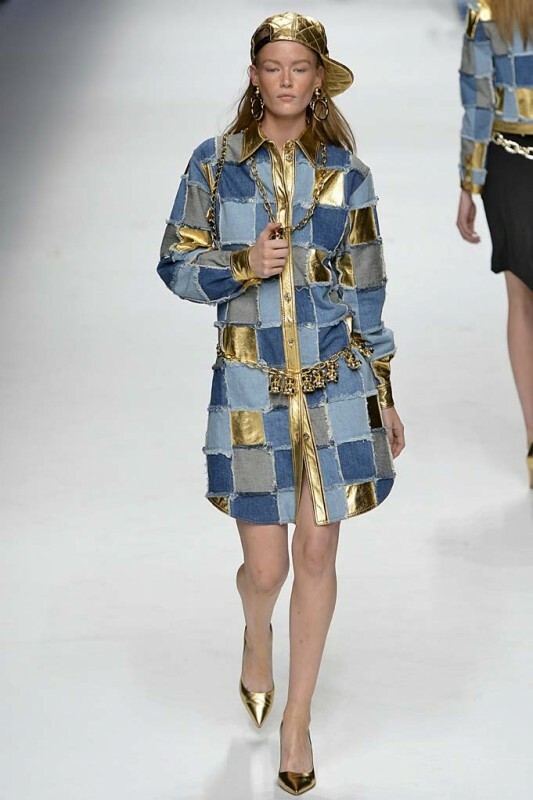 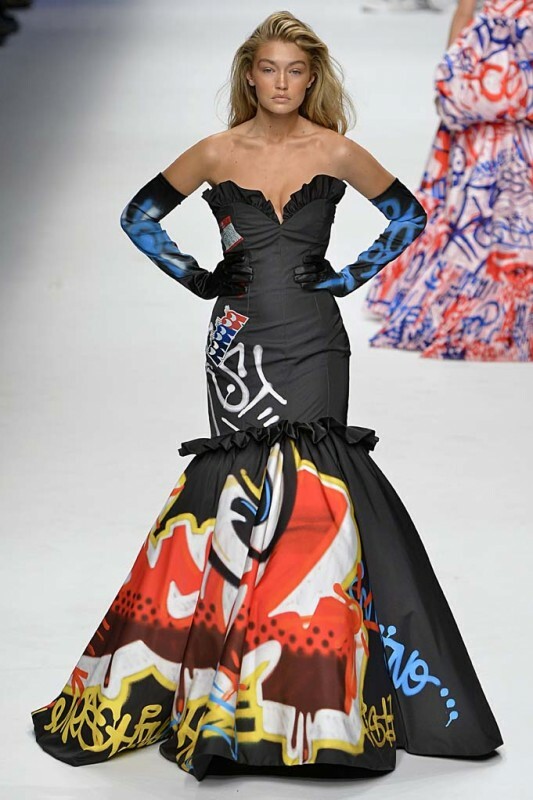 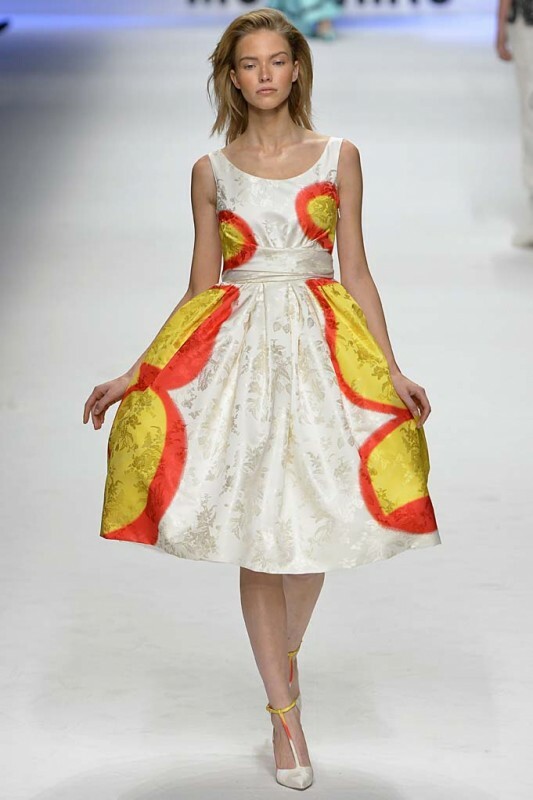 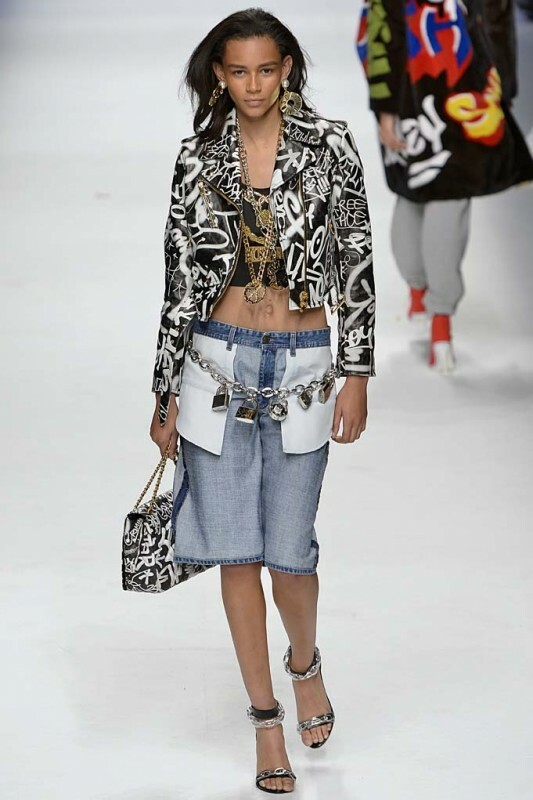 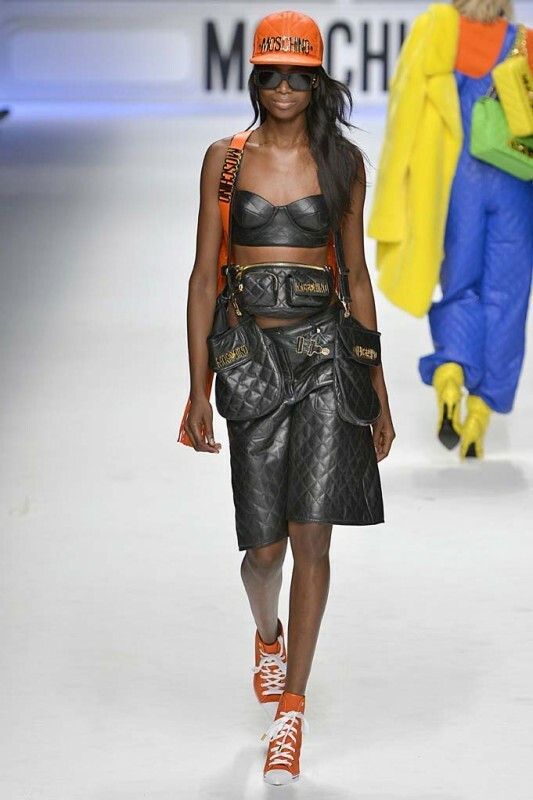 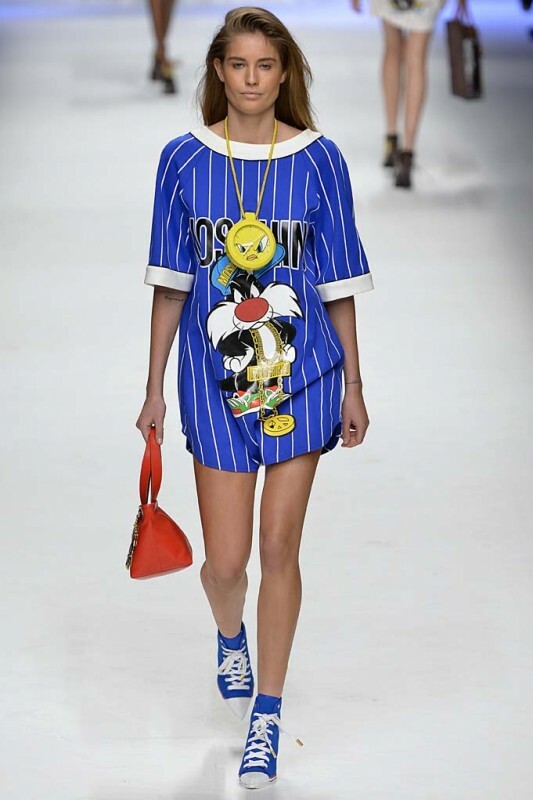 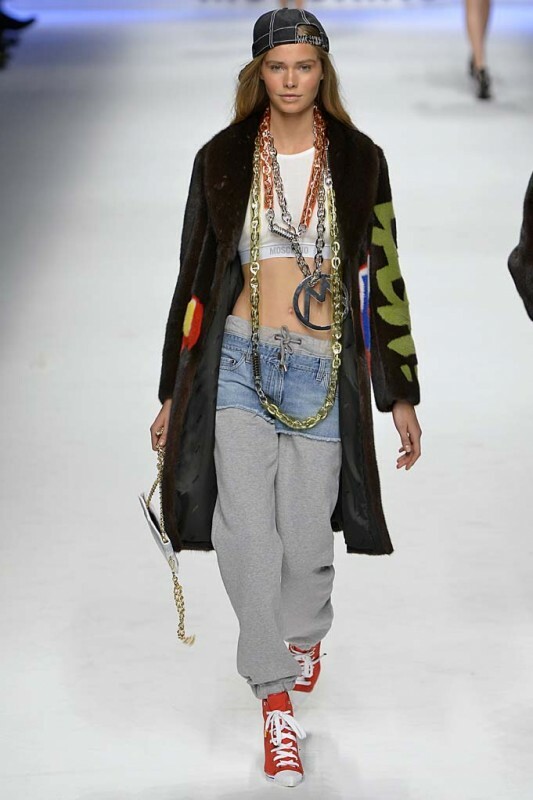 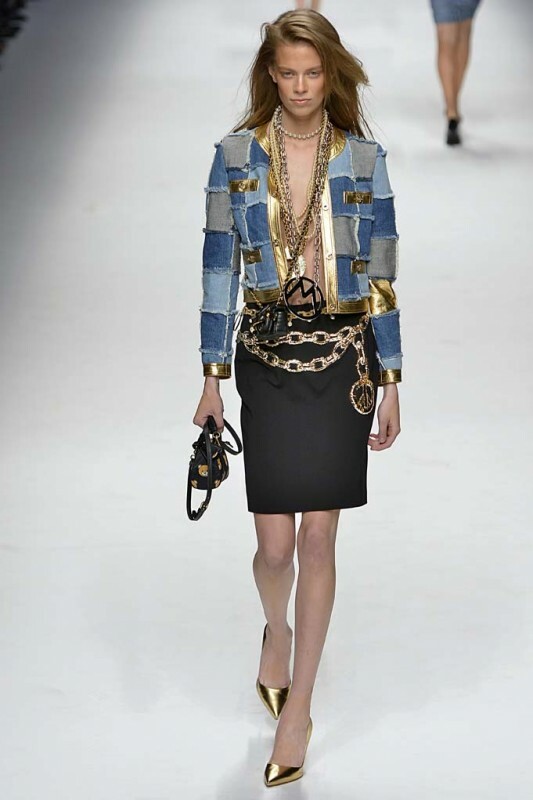 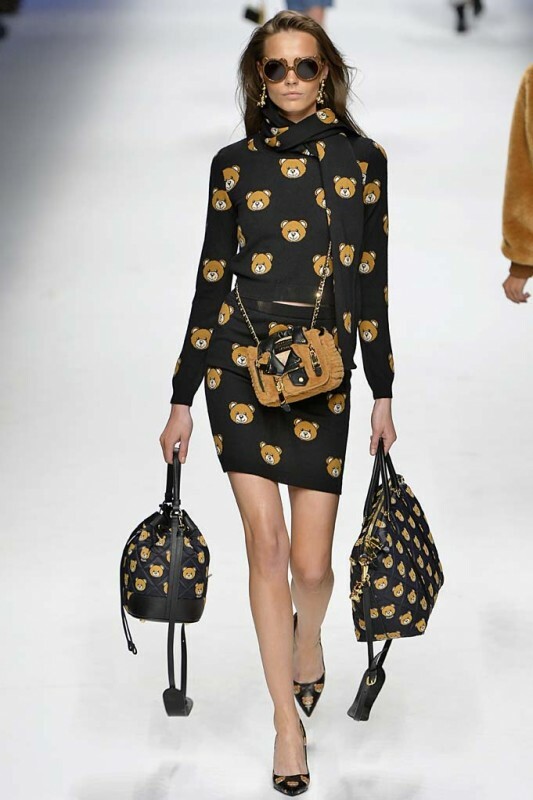 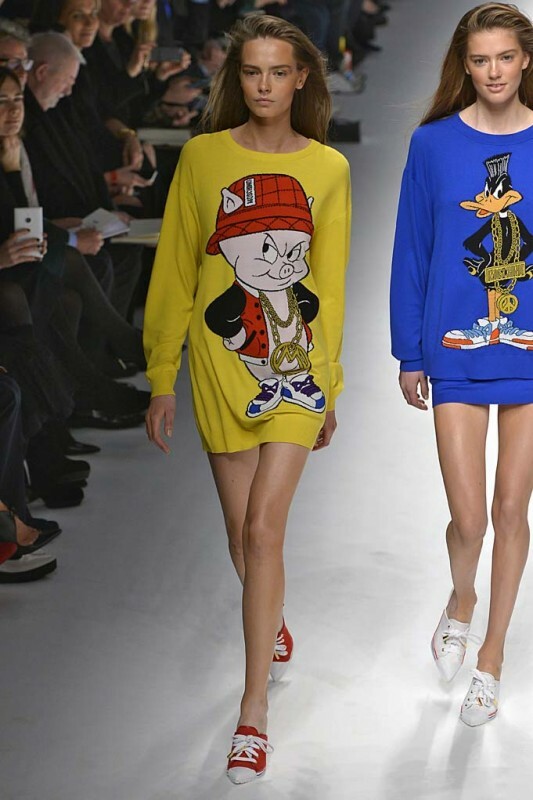 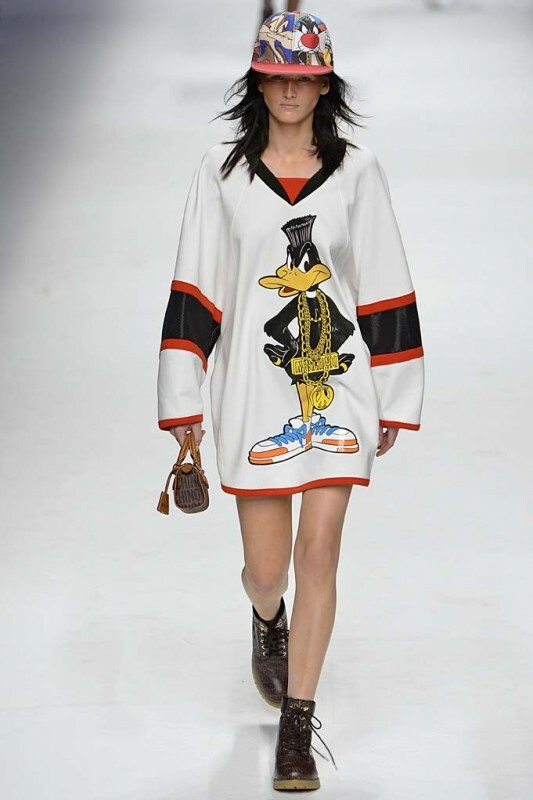 With each collection he creates chez Moschino, Jeremy Scott further proves he was born to helm this maison. 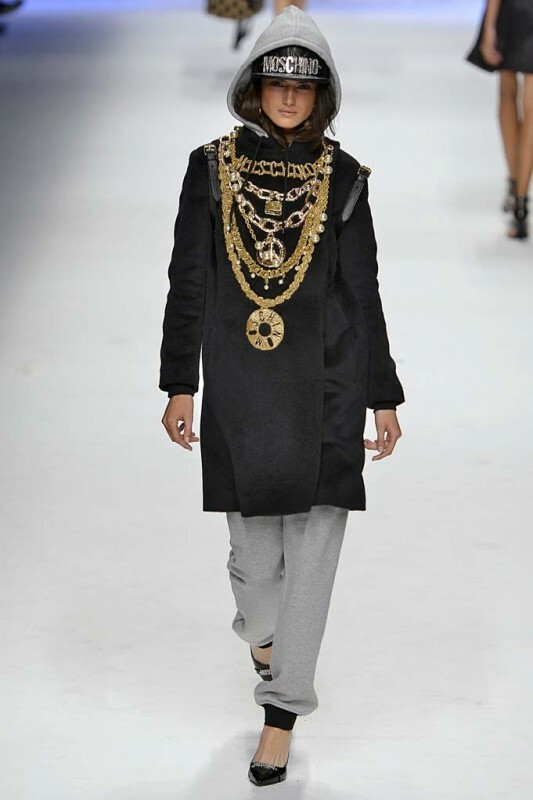 And it certainly looks like he’s having a whole lot of fun while doing it. 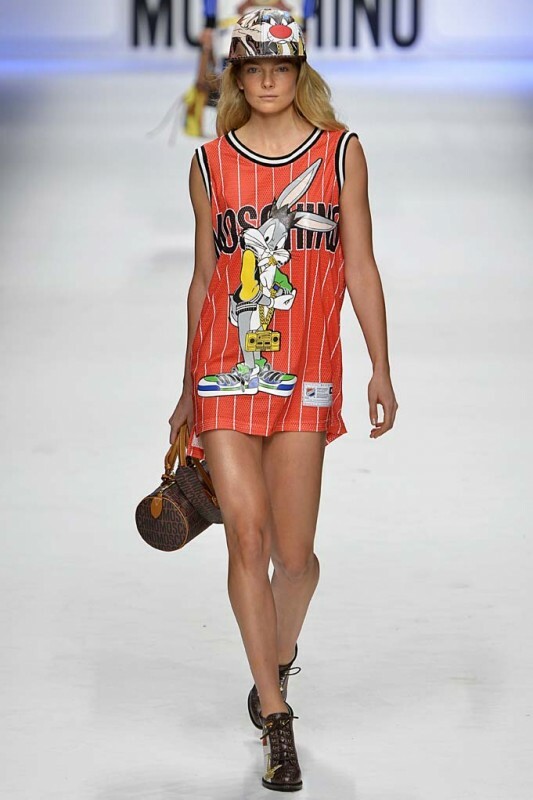 This time around, there were a ton of themes in his collection, with nods to the Looney Tunes, a colorful ode to the ‘80s, and plenty of teddy bear motifs. 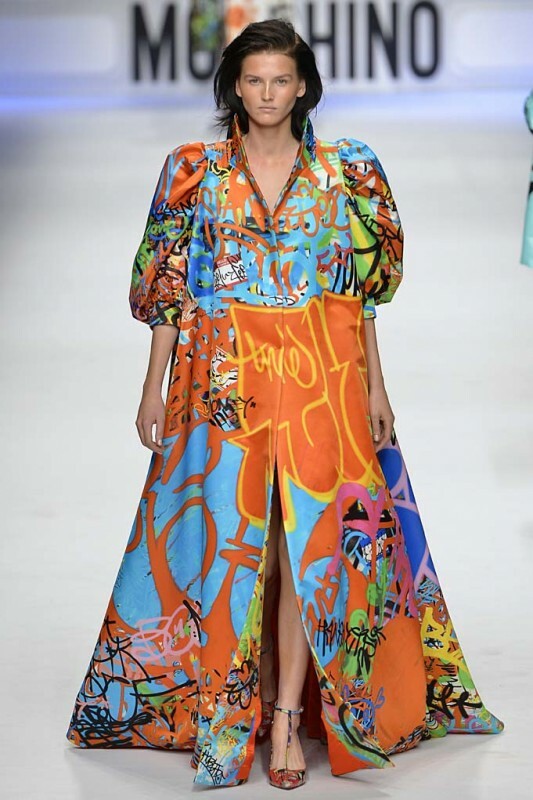 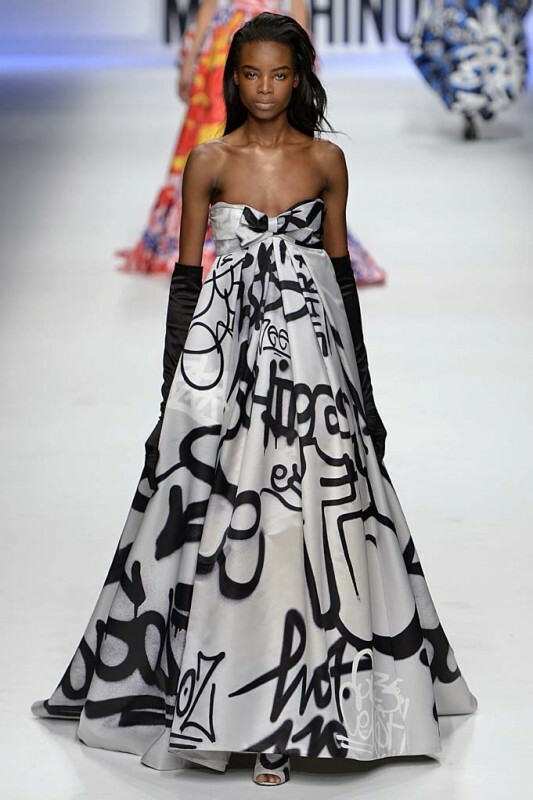 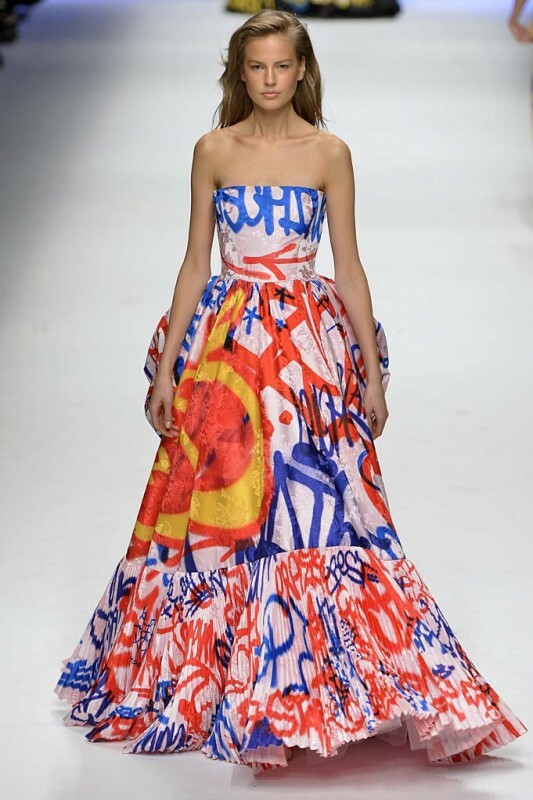 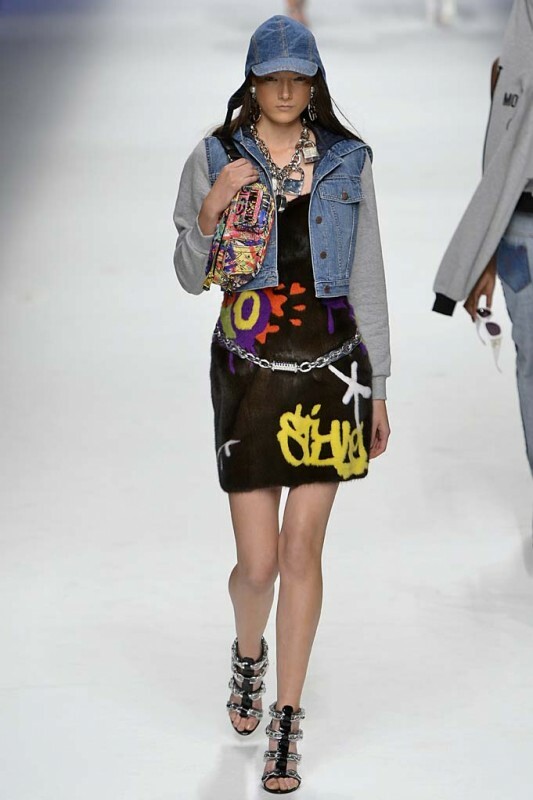 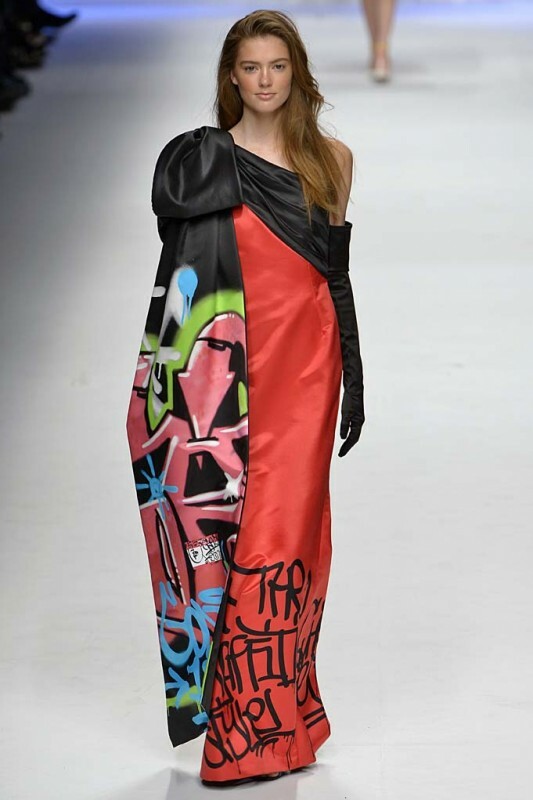 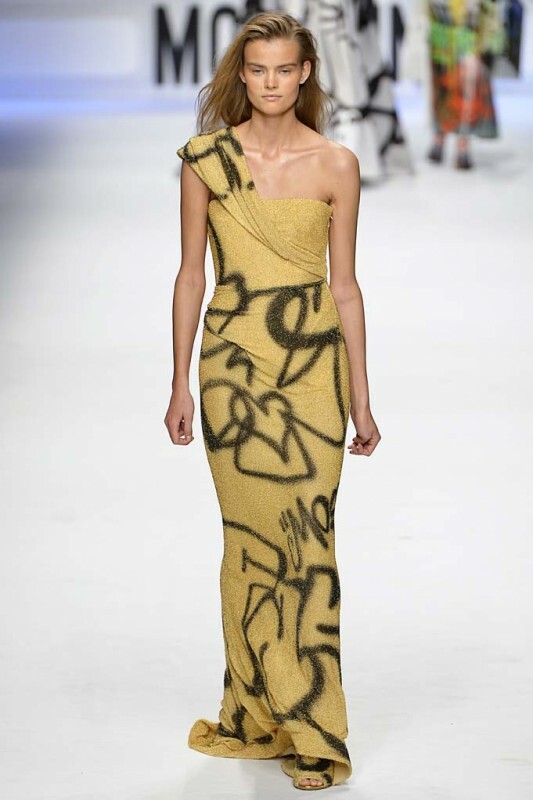 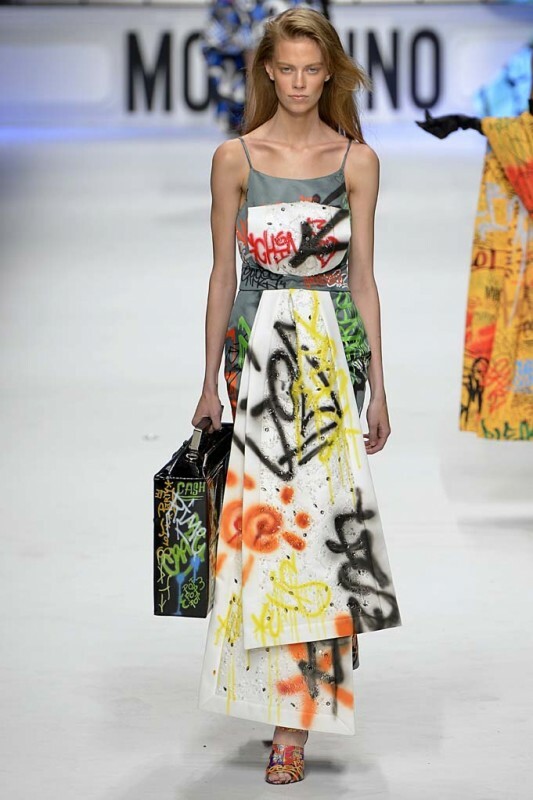 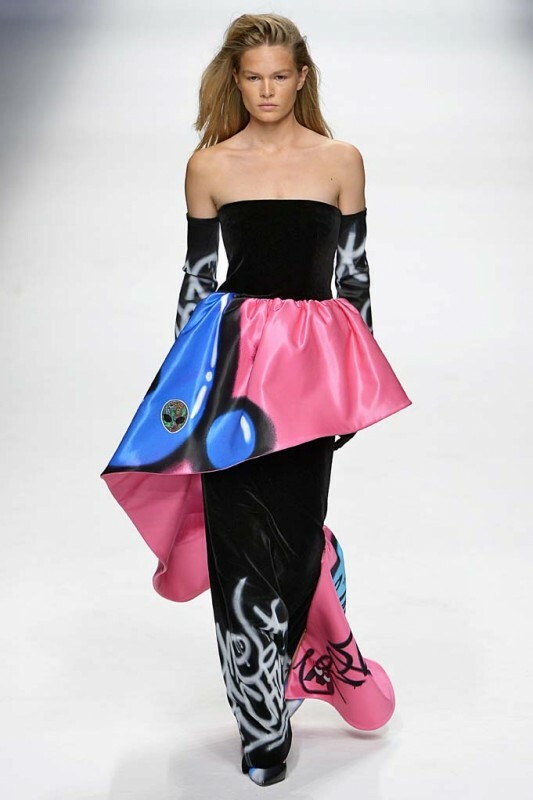 Even graffiti took a spin on the runway, adorning chubby fur coats and dramatically plunging evening gowns. 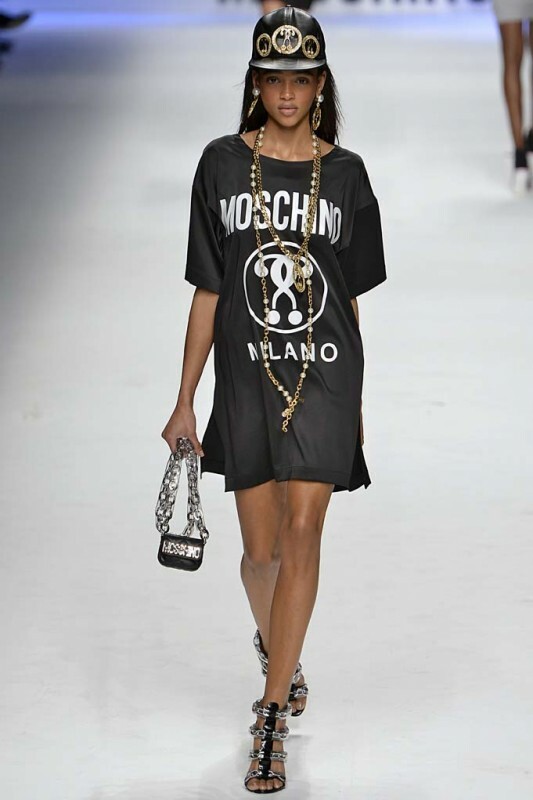 Pushing that concept even further: a Moschino-branded spray paint can, fashioned into a purse with a chain strap. 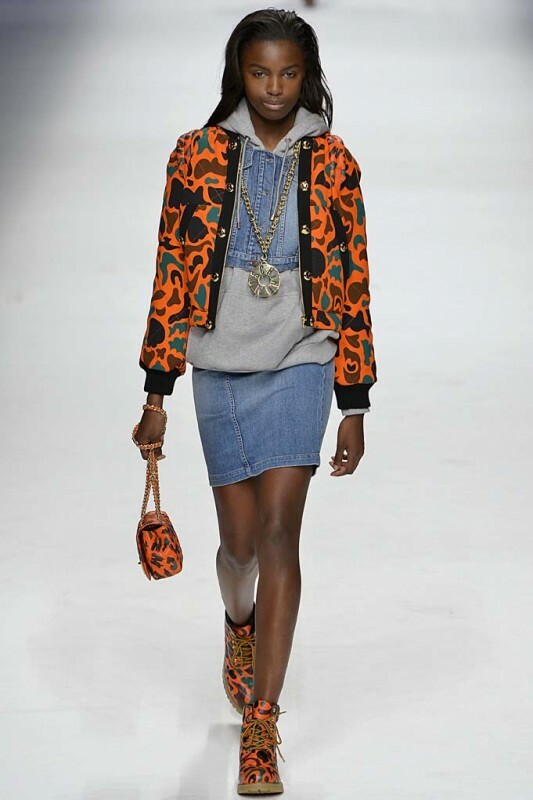 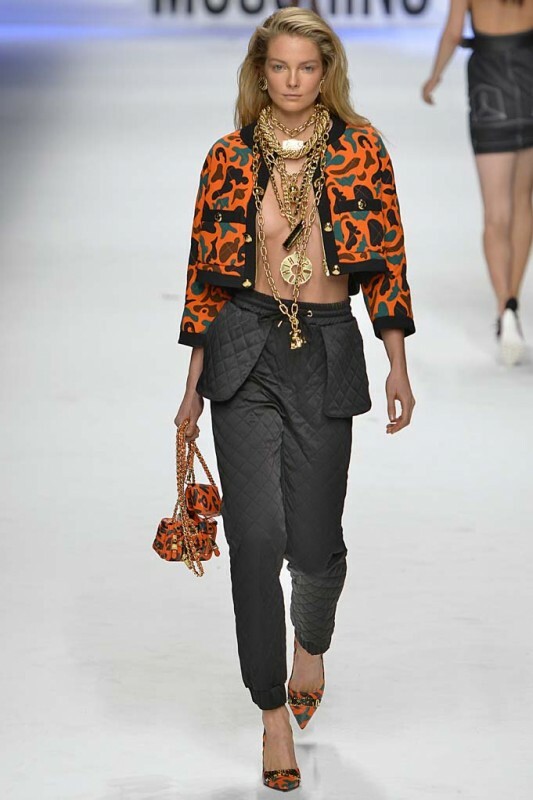 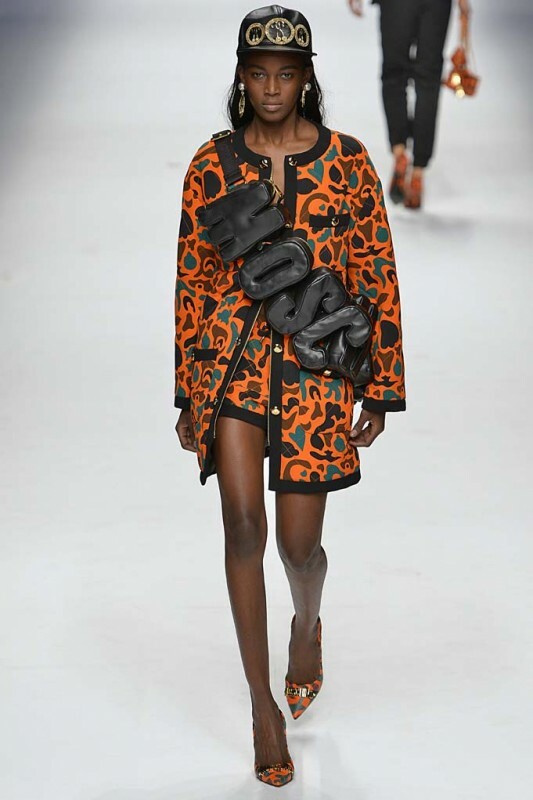 Influences throughout the collection could certainly be attributed to Scott’s longtime stylist, Carlyne Cerf de Dudzeele, like an orange camo jacket, which was accessorized with oversized black shades and multiple layers of gold chains. 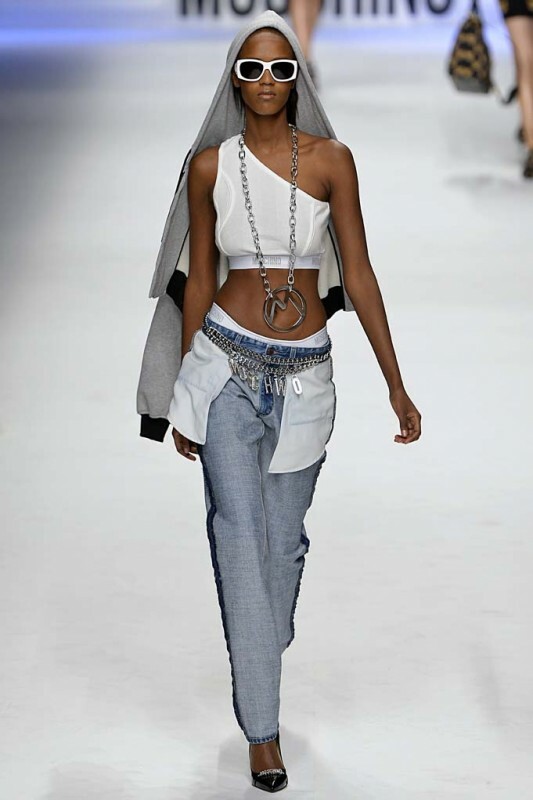 There was a bit of de Dudzeele in a modernized version of the classic tweedy Chanel skirt suit, translated into jersey with accents of a grey hoodie. 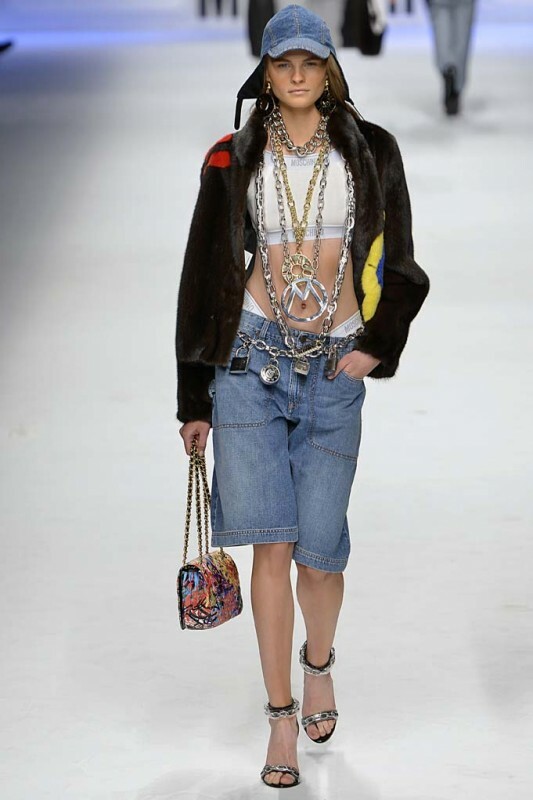 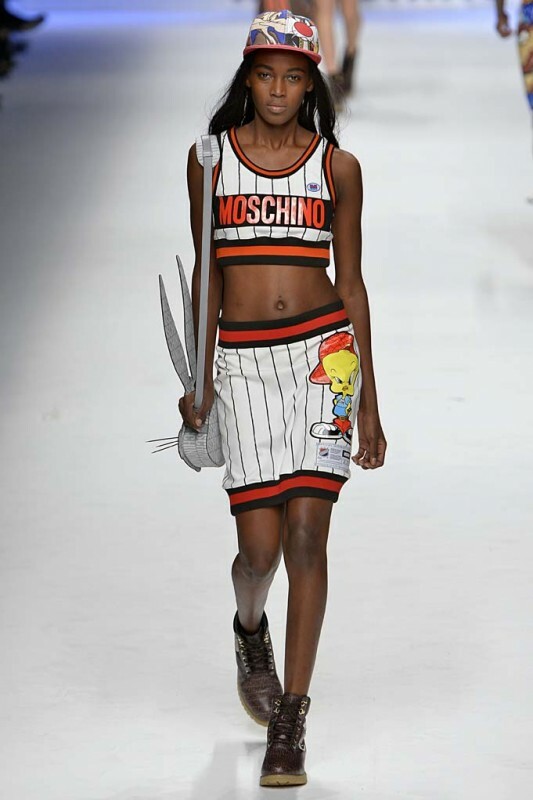 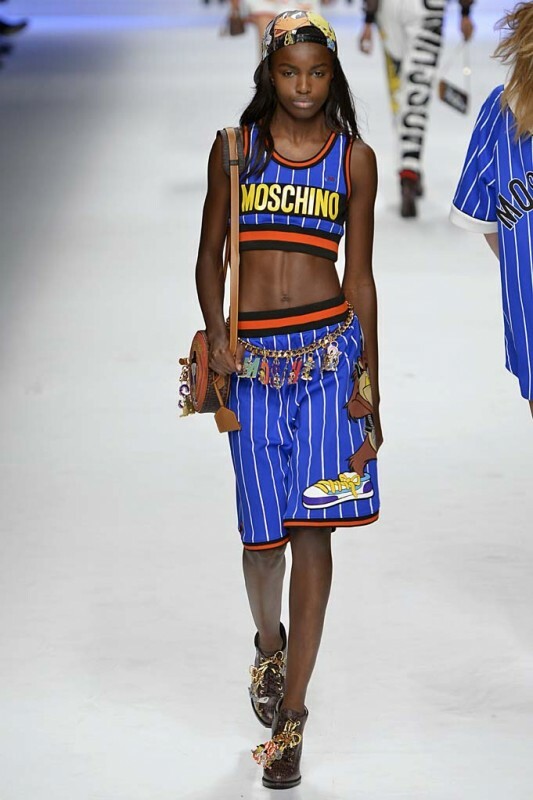 Other streetwear touches included creative denim getups, like Bermuda shorts or a pair of inside-out trousers, and more than one appearance of tighty-whities stamped with the Moschino name. 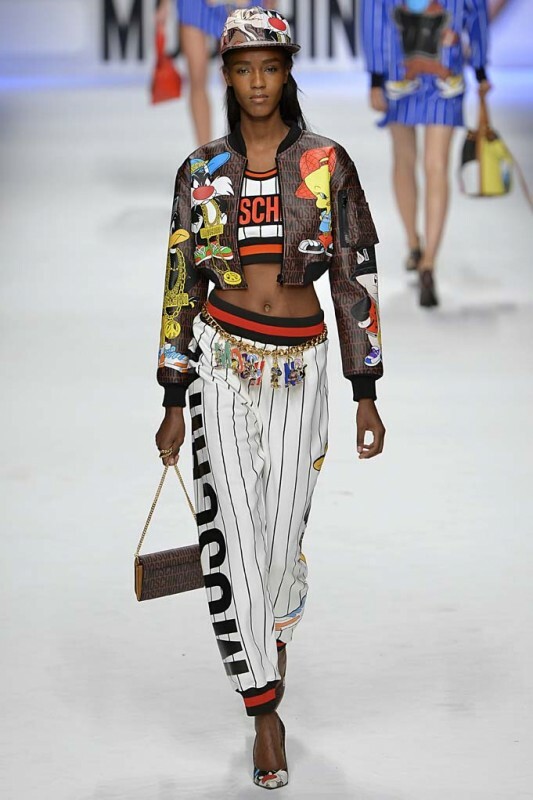 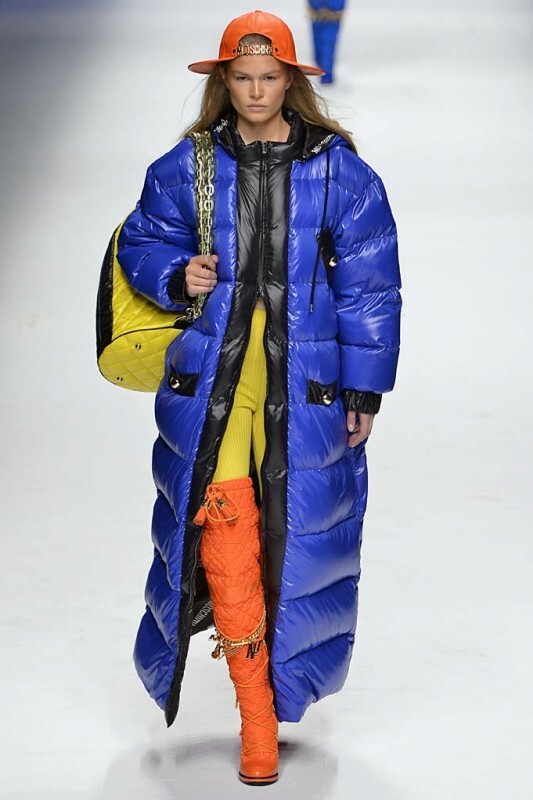 While this collection is high on the kitsch factor, there were plenty of strong separates and accessories that could be plucked from the collection for everyday use.